Did you know the majority of men and woman over 70 are at a higher risk of injury and popular candidates for invasive procedures, such as hip and knee replacements? Let's see if we can end that, shall we? Senior wellness is an important priority to the therapists at Performax. We take health very serious, and the older you get, the more serious this issue becomes. We take pride in educating our senior community on injury prevention, while building strength and mobility. Once a month we give back to the community by hosting senior wellness classes at our office. The classes span an hour long and are free of charge. 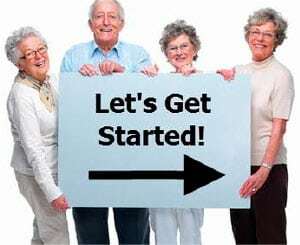 One of the goals of the class is to show people that they can stay fit and active without going to a gym or even leaving the comfort and security of their own home. 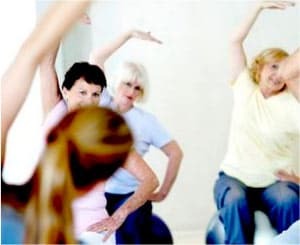 With the music pumping and the energy in full force, our seniors get instructed in popular dance moves, circuit training, and simple, yet effective, home exercise routines which they can incorporate into their everyday lives. With Jessica’s “Couch to Kitchen” program, we volunteer at local churches and libraries to demonstrate a series of basic exercises geared towards seniors with the use of canned goods. While using cans as hand held weights, we prove that with a little imagination you can get a full body workout all on your own.